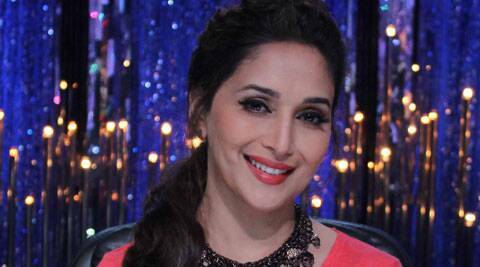 Madhuri Dixit revisited her long-distance relationship days with husband Sriram Madhav Nene on the sets of 'Jhalak Dikhhla Jaa 7'. Ranvir Shorey asked to leave ‘Jhalak Dikhhla Jaa’? Madhuri, 47, who went to US after her marriage to Nene. Bollywood diva Madhuri Dixit revisited her long-distance relationship days with husband Sriram Madhav Nene on the sets of ‘Jhalak Dikhhla Jaa 7’ while watching the performance of Mouni Roy. Mouni and her choreographer Punit’s ‘mirror image’ act, about two lovers drifted apart by distance, reminded Madhuri about the early days of her marriage. Madhuri, 47, who went to US after her marriage to Nene, said the act took her to those days when she had to come to India to shoot ‘Devdas’ just after her wedding. “I was smiling throughout the act and kept thinking of those days when my husband and I stayed apart. Right after my wedding, I came to India for four-five months to complete Devdas. We kept saying ‘I miss you’ to one another, just like they showed in their act,” Madhuri said in a statement. The emotional act, which will go on air this weekend, will also earn Mouni and Punit the coveted dancing shoes from judges including Madhuri, Remo D’Souza and Karan Johar.